As my friends who are Rennies, will tell you, I am not a Rennie. ^ ^ I do love to go to the Faire though, and I think the costumes are beautiful! Faires wouldn't be faires without the wenches! Check out their official website. Ohio State University Ren Group After my dear friend Michele joined OSU's Ren group, I found myself spending a lot of time with them. What a great group of people. Check out their site! Alana and Andy look adorable in their garb! Women in corsets! Men with swords! (or do I have that backwards?) 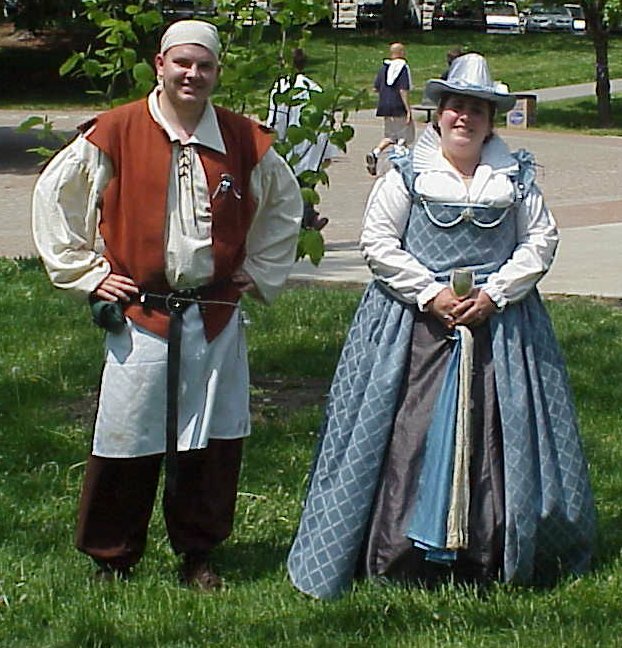 Every year we attend the Ohio Ren Faire. Info here: http://www.renfestival.com/ It's like a big Medieval shopping mall, complete with street performers. This year I bought the cute outfit I'm wearing here.